Click here to find out if you live within our range of service. Ready for installation? Review our Checklist. Call 813.782.1429 to schedule your install date today. Full Metal Shovel, Inc. is a state certified, residential pool/spa contractor serving the Tampa and Lakeland areas since 2001. Above ground pool installation is our specialty. Not only can we install your above ground pool, we can sink it two feet in the earth (a frame drop), install a heat pump, and replace your vinyl liner when the time comes. We are also fully equipped to perform excavation work and lay brick pavers. We are fully insured, holding both general liability and worker's compensation policies. 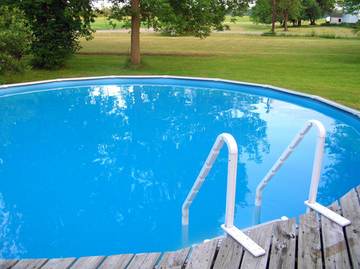 Residential Pool & Spa Contractor License #CPC1456613. Copyright 2009 Full Metal Shovel, Inc.